Mid Week is here! 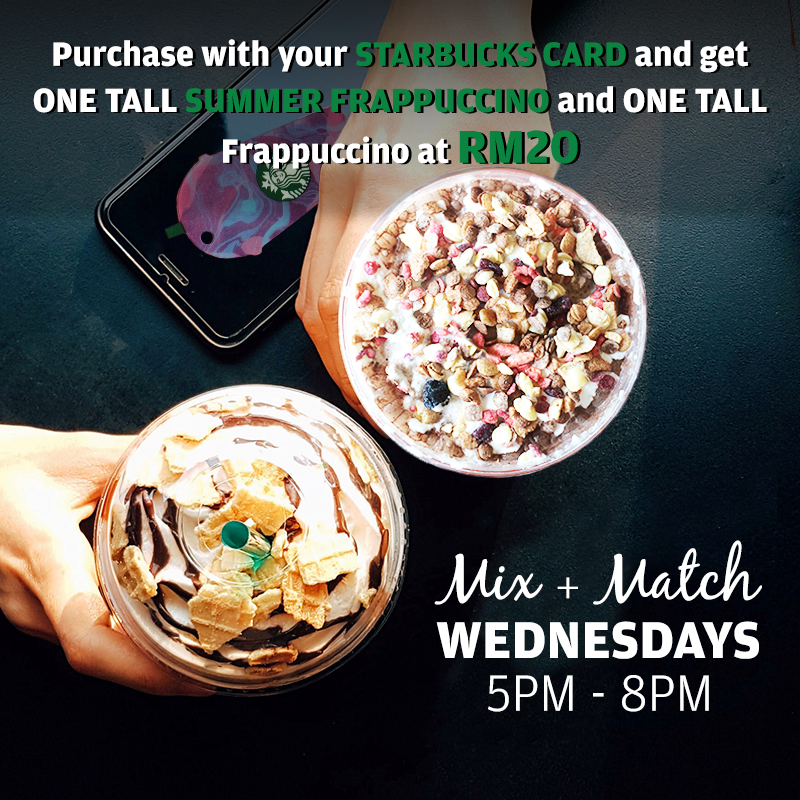 Let's mix it up with your Starbucks Card and enjoying your favorite TALL Summer Frappuccino and ANY TALL Frappuccino for only RM20! Applicable every Wednesday in August, 5pm to 8pm. Valid at all Starbucks stores in Malaysia except Genting Highlands, Tapah R&R and Sunway Kiosk.